The shimmering façade of the Library of Birmingham, Europe's largest and a destination in its own right. Birmingham out canals Venice (distance wise). Medieval Warwick Castle is not technically but it's totally worth the short drive. Downton Abbey-esque Hampton Manor harbours one the UK's finest gin menus. If you can visit just one gallery or museum in Birmingham, make it the Ikon Museum. Big sister London might be infinitely prettier, but as Dilvin Yasa discovers, England’s second-largest city, Birmingham, might very well be the one packing all the personality. Here’s 11 can’t-misses in the city. Birmingham’s image problem has a lot to do with being heavily bombed during the Second World War and its post-war regeneration efforts that saw attractive Victorian buildings torn down to make way for new developments, leading to its ‘concrete jungle’ reputation. 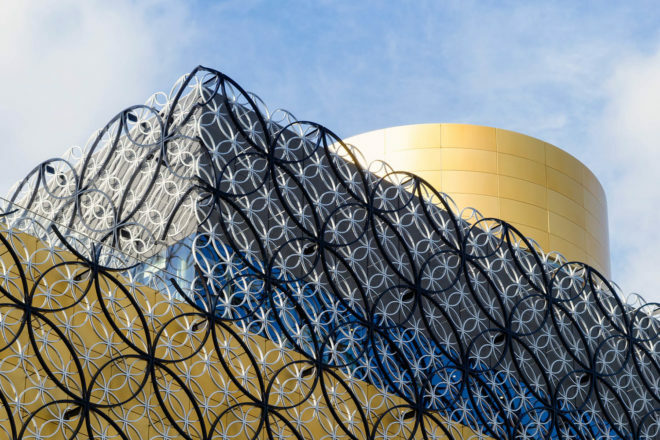 The architect-designed Library of Birmingham, which opened in 2013, is part of the city’s plan to shake this off. With a sunken amphitheatre, rooftop gardens and a shimmering façade that references Birmingham’s jewellery quarter, it is now Europe’s largest library and a cultural destination in its own right. Tired of listening to your friends talk about the time they toured the canals of Venice and ate all that great pizza? 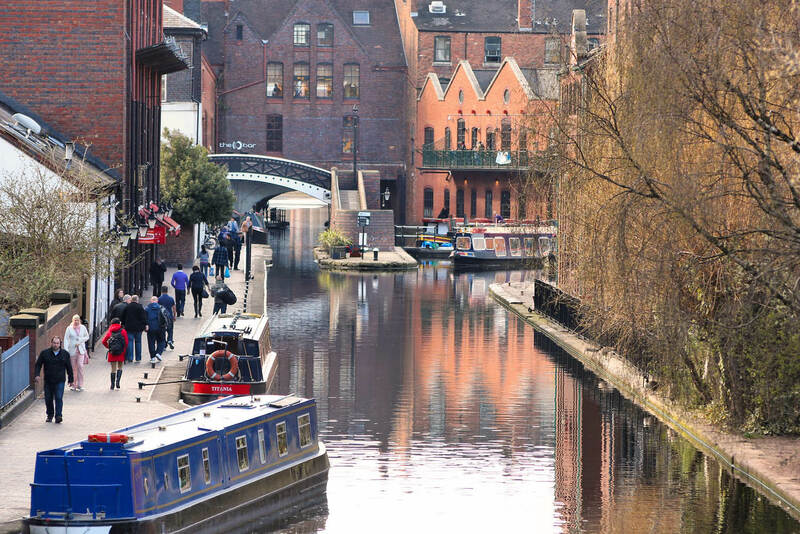 Alert them to the fact that their fabled city is sinking, and promptly book a scenic tour of Birmingham’s canals instead – reported to have many more miles of canal to explore than the Italian city. Currently undergoing a gargantuan restoration project which is seeing all manner of gin bars, cafes and more gin bars open up alongside the waterways, the one-hour cruises from Sherborne Wharf feature entertaining commentary on the history of the canal system, refreshments , plus an opportunity to become a new-wave travel bore. In 1824, 22-year-old John Cadbury opened his first shop, on Birmingham’s then-fashionable Bull Street. He sold tea, coffee, even hops and mustard, as well as cocoa and drinking chocolate: until then a luxury only the elite could afford. The rest is history, and today the chocolate-curious can visit Cadbury World to learn all about it, and eat their body weight in sweet treats. Experience what it’s like to dive into a pot of Cadbury Dairy Milk in their (incredibly realistic) 4D cinema; get dressed up and take choc-themed photos with the family, or simply load on five years’ worth of supplies at Cadbury World’s discount store. 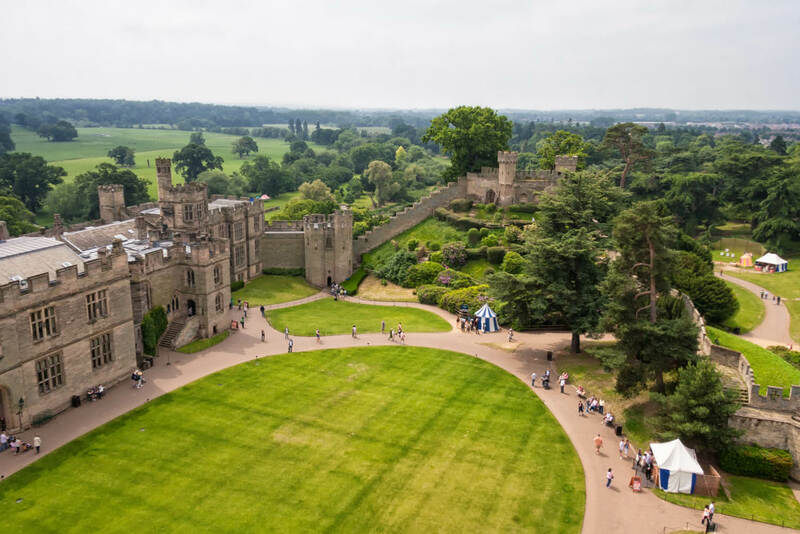 Medieval Warwick Castle is not technically but it’s totally worth the short drive. Geography buffs will point out that Warwick Castle isn’t located inside Birmingham’s city centre, but is a pleasant 40-minute drive away. Anyone who writes in to tell us that should absolutely join the history geeks who make the daily pilgrimage to what experts consider to be the best modern-day example of what Medieval life was all about. Visitors can expect opportunities to view realistic battle scenes, feasts, themed evenings, tower sleepovers, and even ‘birds of prey jousting’. Extra brownie points awarded to those who can complete the Horrible Histories Maze without having a nervous breakdown. Right up there with other important questions such as ‘What is the meaning of life?’ is ‘How on Earth do I choose the right Balti restaurant for me out of the 200-odd that make up the city’s infamous Balti Triangle?’ Indeed, in what has become known as the curry capital of the UK, it can be a challenge to choose only one or two (and don’t even get us started on all the jewellers, traditional dressmakers and sweet shops dotted in between them), but local guides swear by the Balti (a curry served in a steel bowl, accompanied with a rather large naan bread) at Shababs and Al Frash. Visit Balti Birmingham to make up your own mind and check out our ‘5 best curry houses in Birmingham‘. Downton Abbey-esque Hampton Manor harbours one the UK’s finest gin menus. The show might be long-gone but fans with Downton Abbey-esque dreams can continue to keep them alive by visiting majestic Hampton Manor for an evening of wining and dining. 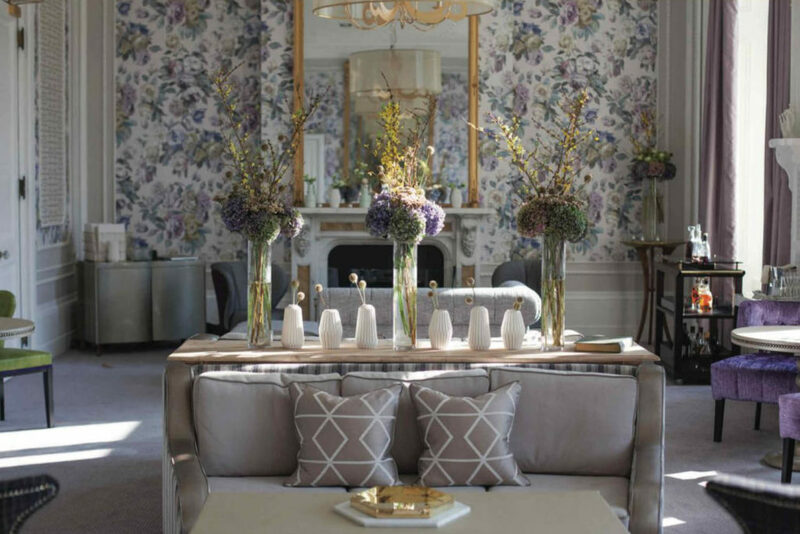 Formerly a private home, Hampton Manor now plays host to not only one of the country’s finest gin menus and tastefully decorated boutique guest rooms, it also offers up the Michelin-starred Peel’s Restaurant where guests can enjoy anywhere between a two- to seven-course menu. Is there no end to the extraordinary things England continues to give us? First came the hot men (author’s note: husband is a Brit), then came Duran Duran (see hot men), and then of course there are all those automobiles we continue to lust after and here at this museum, you can see over 300 classic Aston Martins, Jaguars, Land Rovers and Minis housed in this museum – many of which belonged to notable people such as Lady Diana, and others which were prototypes and now valued in the millions. In the words of one distinguished journalist (OK, me), “Wow, I wouldn’t normally give a stuff about cars, but that was fascinating!” See why at British Motor Museum and if that hasn’t sated your appetite for cars, book a three-hour factory tour of the Jaguar Visitor Centre, which allows you the opportunity to witness the entire production process of an F-Type Jag. If you’ve been pining forever for a diamond ring, head immediately to Birmingham’s jewellery. Renowned for producing 40 per cent of the jewellery in the UK, the quarter’s streets are home to more than 500 jewellery businesses, from modern galleries and design workshops to quaint antiques. Educate yourself at Jewellery Quarter. It’s not every day that you hear a popular shopping destination has been an important feature of a city ‘since the Middle Ages’, but that’s exactly what The Bullring has been for Birmingham. Although with its 160 stylish stores and metal-pressed Selfridges skyline, it’s no doubt seen a few changes since the goods market days of old, the centre still rightfully dominates the local shopping scene. Those who haven’t quite done enough damage to their plastic and others who are after high-end threads in particular should continue their journey at the upscale Mailbox. 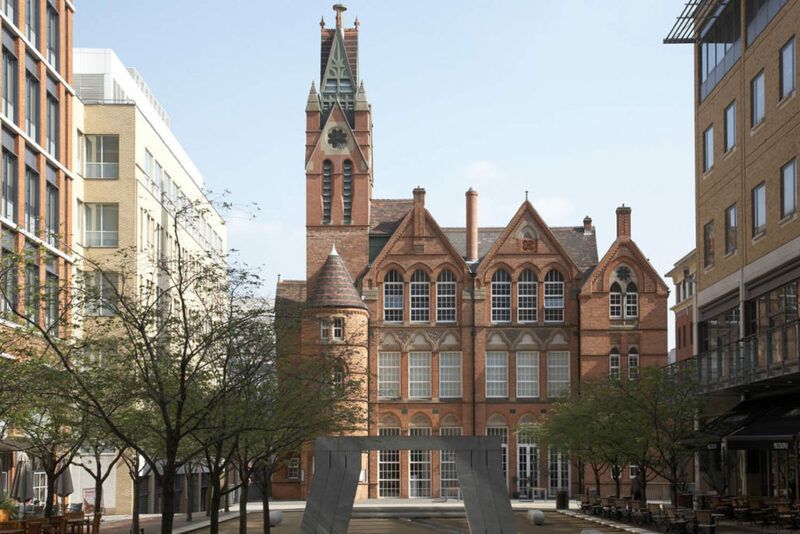 Birmingham is home to countless internationally renowned art galleries and museum (don’t look so surprised), but if you can visit only one, make it this magnificent contemporary art venue which seemingly rises out of the ashes of central Birmingham. Housed in a former neo-gothic boarding school, Ikon may present an exciting program of exhibitions, workshops, seminars and events, but we say don’t miss the famous singing lift or a chance to browse the gallery’s bountiful bookshop. Fun fact: Duran Duran, Black Sabbath, Judas Priest, and half of Led Zeppelin all hail from this fair city and even if your idea of a good time isn’t taking endless photos outside of (Duran Duran bassist) John Taylor’s former childhood home (I didn’t come here to be judged), you have the option of seeing world-famous live acts everywhere you go, from 15,000 seater arenas and symphony hall to intimate pubs and clubs. Prepare to get loose. Qatar Airways flies daily from Sydney, Melbourne, Perth and Adelaide to Birmingham via Doha. Lovet the English countryside. Especially the Corswolds.